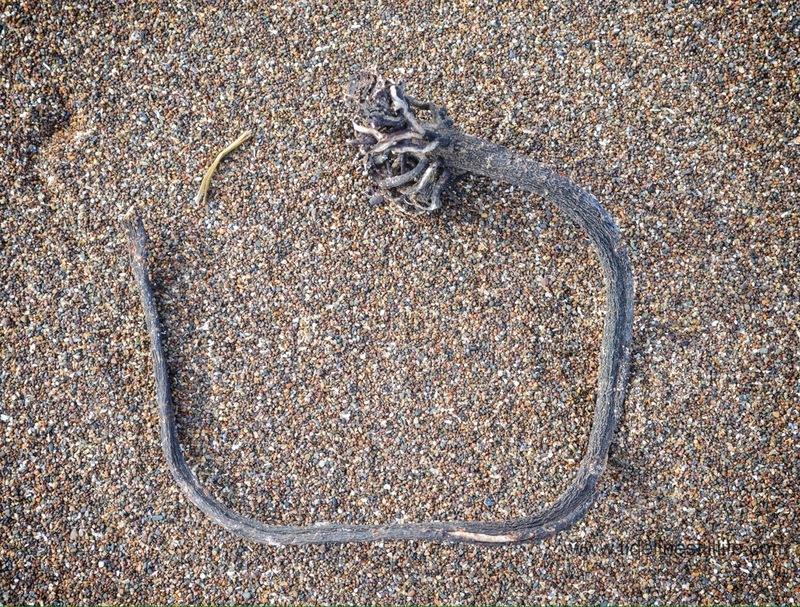 A repost, but today’s Scottish vote calls for a photograph from a Scottish/English border beach. This was taken in Northumberland, England, just miles from the border with Scotland. … or the impression of intaglio. Almost a rainbow-full of color, but not quite. 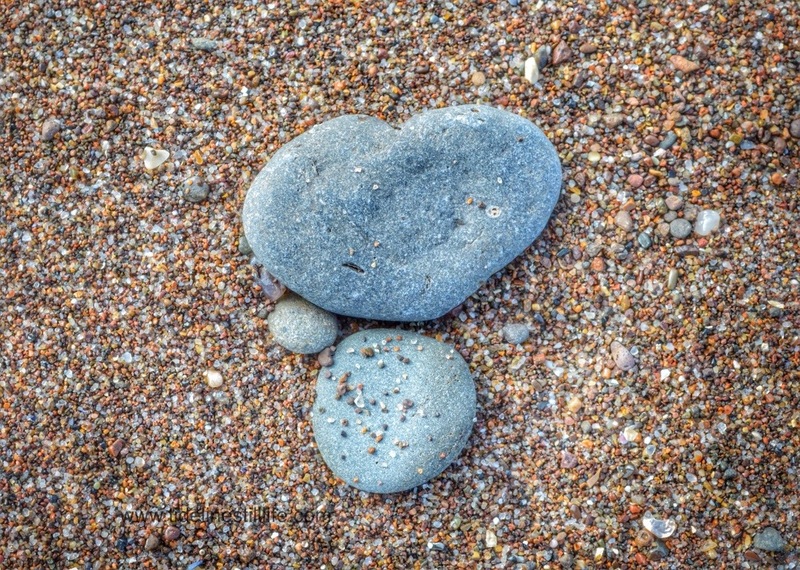 These pebbles were not moved from how I found them on the beach, and the colors were not enhanced in any way. 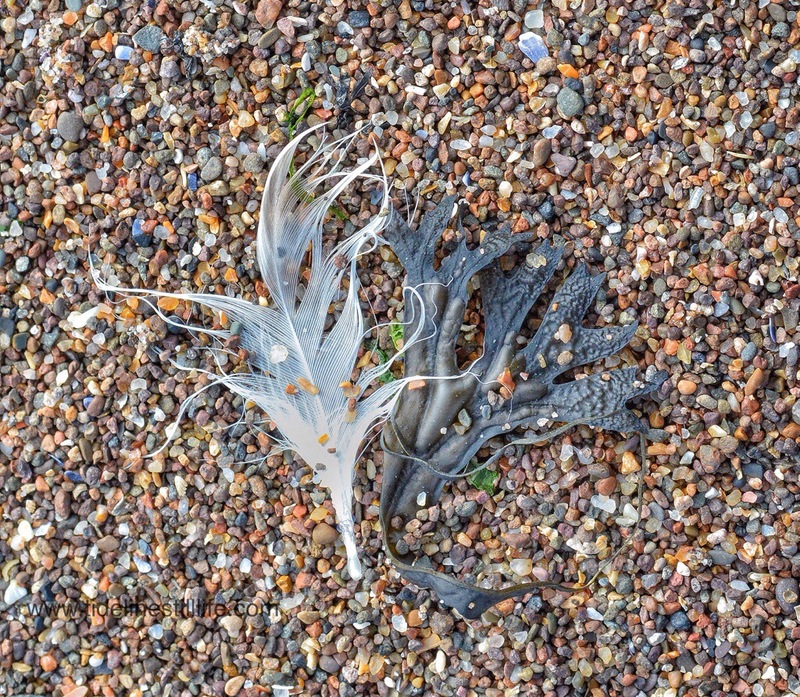 This is how the tide clustered them on the beach at Spittal, and the colors are true. Absolutely magical! 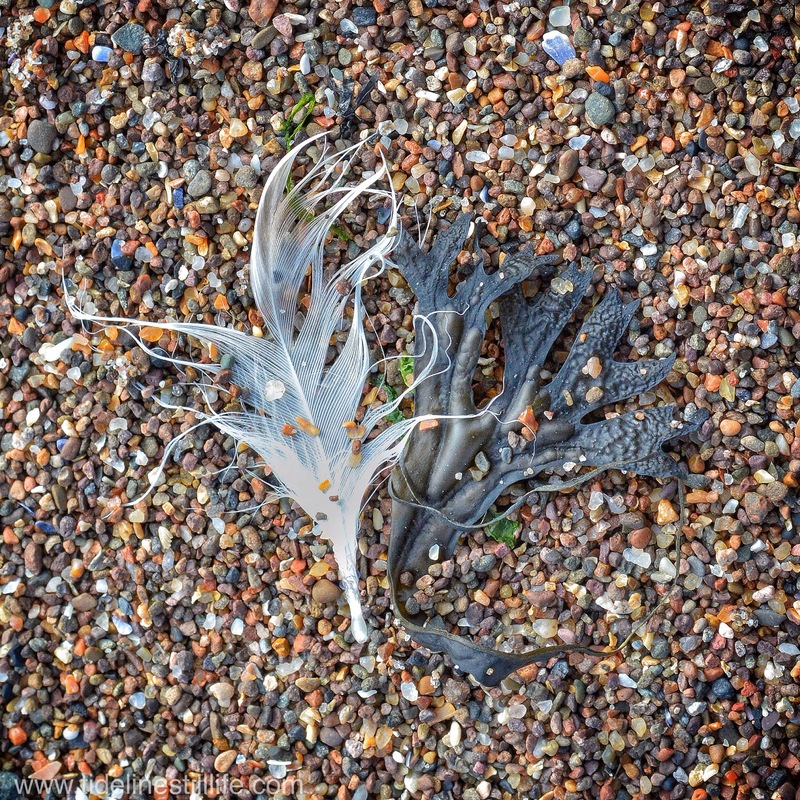 The colors on Spittal’s beach are plenty, but soft and gentle like a tweed fabric. When one looks carefully all the colors of the rainbow are able to be found. 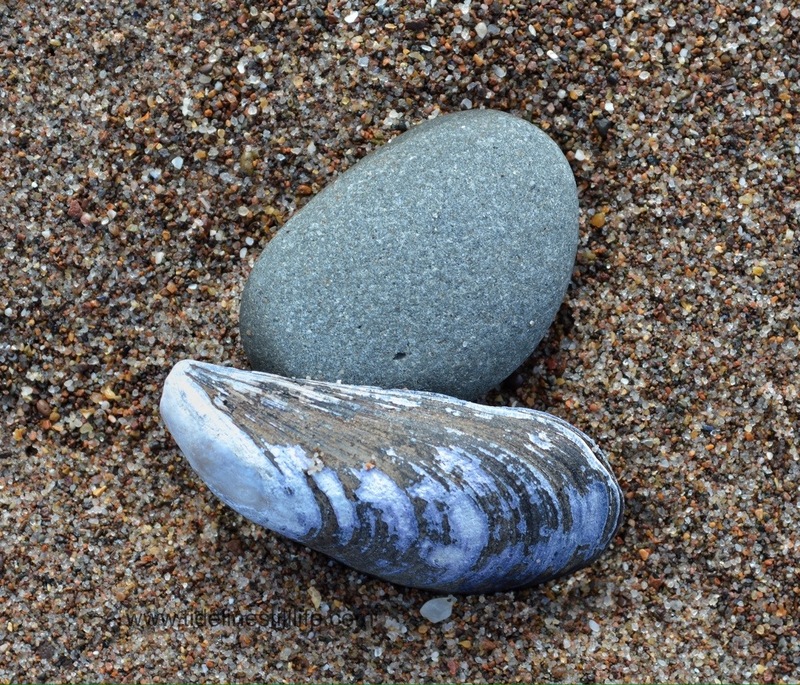 Here, the sea’s shell and a well-worn pebble are each quite blue. 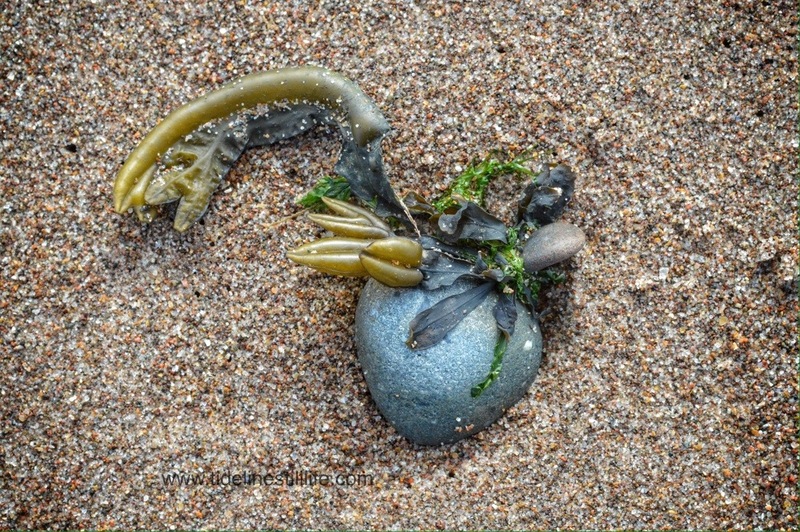 It almost seems as if they have sought one another out in the sand. 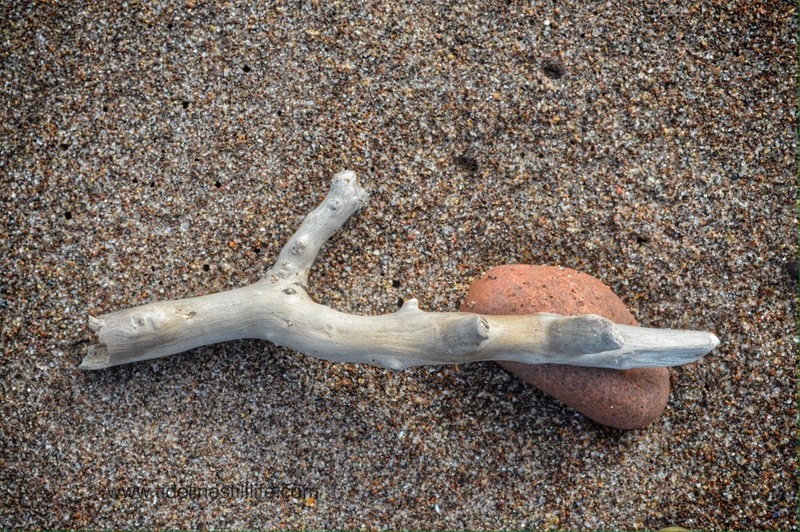 Tumbled into softness, a twig and a brick create an eroded still life. 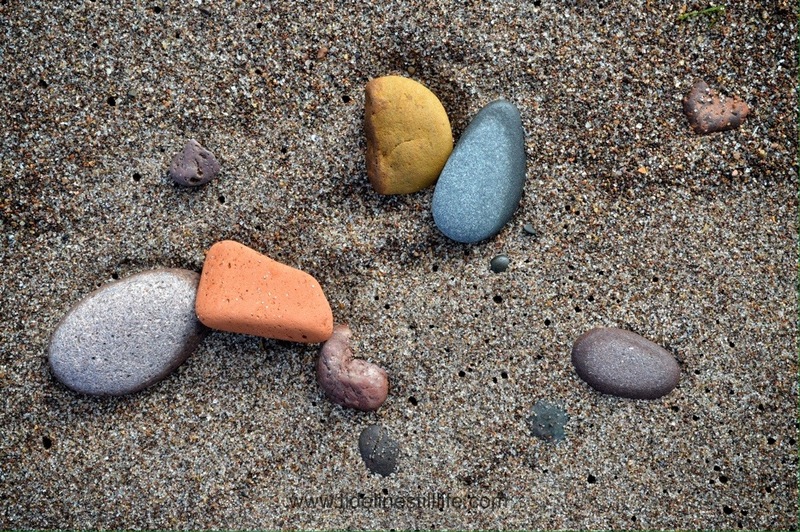 The pebbles on this area of the Northumberland coast are all beautifully multi-colored, like the shades in a lovely, soft tweed. Every color in the rainbow is present, delicate and muted. 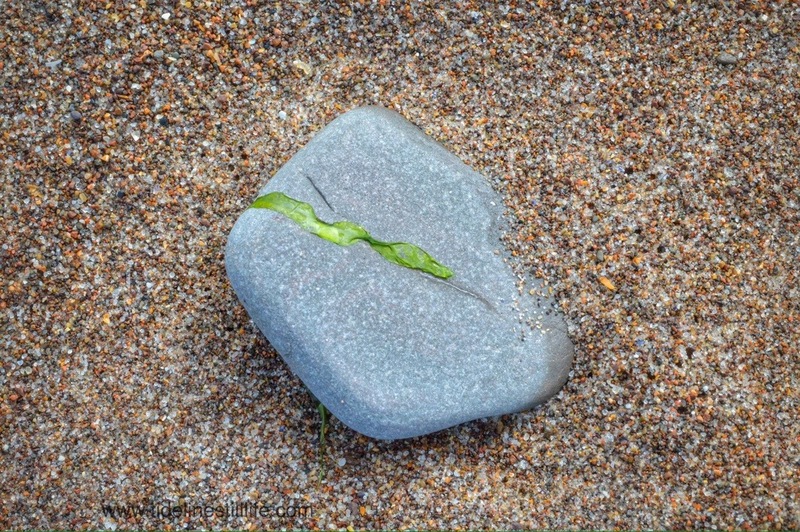 This one pebble, though, stood apart as a more vivid blue. 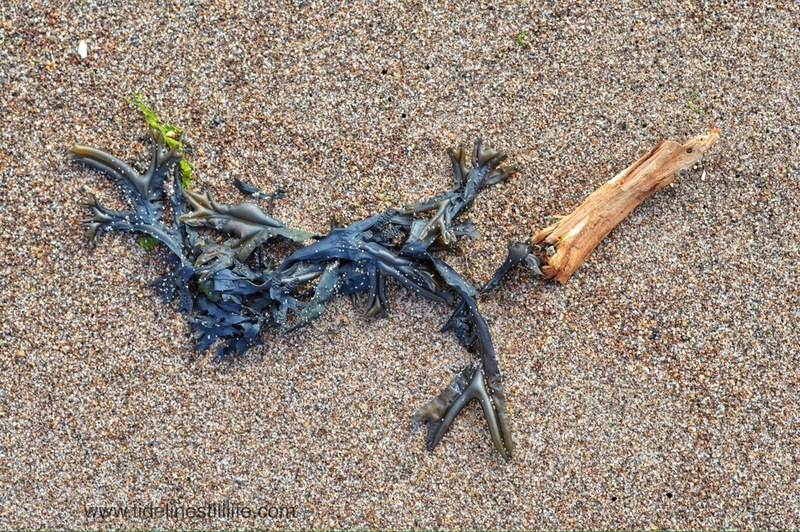 Perhaps it is the seaweed beside it in this still life that brings out the blue. There is nothing … nothing … that I do not love about the Northumberland coastline. From the cliffs, to the dunes, from the wild waves and enormous tidal shifts, to the castles that dot the horizon, I love this area of the world. For one small second, captured here on Spittal’s beach, I sensed the coastline smiling back at me. Elegant curves and an intriguing root structure. Not quite a closed form, though. This might irk some geometry teachers that I know.